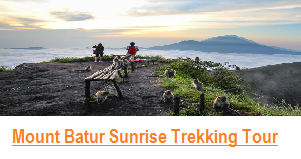 Since we have many request from the guest who has short time in Bali but they would like to see The High Light of Bali such as Jungle, Waterfalls, Temple, Rice Field and Sunrise. 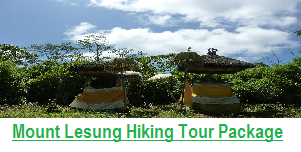 So we try to combine all point of Trekking Tour that we organize into 1 day trip. 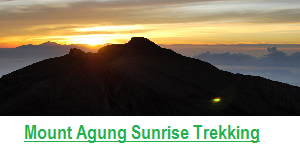 This Trip is start very early from your Hotel ( Ubud, Kuta, Seminyak, Canggu, Legian, Nusa dua, Sanur etc ), we will pick you up at 4 am from your Hotel, then we will drive you to north of Bali ( Twin Lake Resting Point ) from here you can see nice sunrise with twin lake view plus mountain view. Before we start the trek to exploring the real protected jungle, we will have some breakfast first. 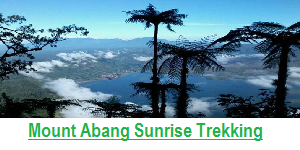 then at 7.30 am we start our hike to the Jungle of Tamblingan, here you will visit some temple inside the jungle, and crossing tamblingan lake by traditional dugout canoe, this trip is about 2.5 hours. 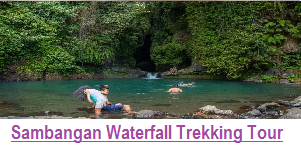 Then after the trek – we continue our trip to Sekumpul Village, where we will see 2 point of Waterfalls, Sekumpul Waterfalls and Lemukih Waterfalls. 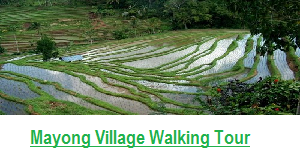 Before we reach the waterfalls we will walk for about 1.5 hours, we will walk thru the village, and rice field. Sekumpul Waterfall and Lemukih waterfalls are the most beautiful waterfalls in Bali. 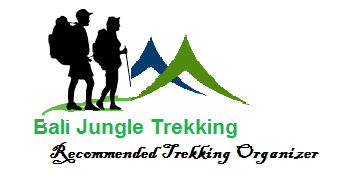 Price : USD$79/person ( Minimum 2 persons ), included : Private Car for pick up and drop back, Breakfast, Private Local Guide for Tamblingan Jungle Trekking, Private Canoeing, Entrance fee to the jungle, Trek equipment, drink water, local fruit refreshment during the trek, Lunch Box, Private Guide to exploring sekumpul waterfalls, entrance fee to Sekumpul Waterfalls, and Fresh coconut water for refreshment during our trek to sekumpul waterfalls.